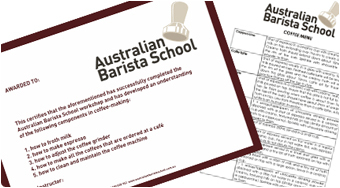 Gift certificates to our Australian Barista School classes make the ideal gift for any coffee lover! Call us on 1300 659 917 and we will send our gift certificate to you or straight to your friend with a note saying it is a gift from you. A gift box is available for an additional $7. All gift certificates have the recipient's name and our contact details so they can call and book a course that is most convenient to them. All gift certificates are open for one year until the time of issue. 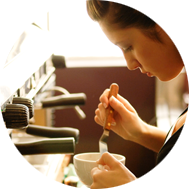 Booking is done by the recipient by calling 1300 838 962 when they are ready to book. All instructions are on the certificate.